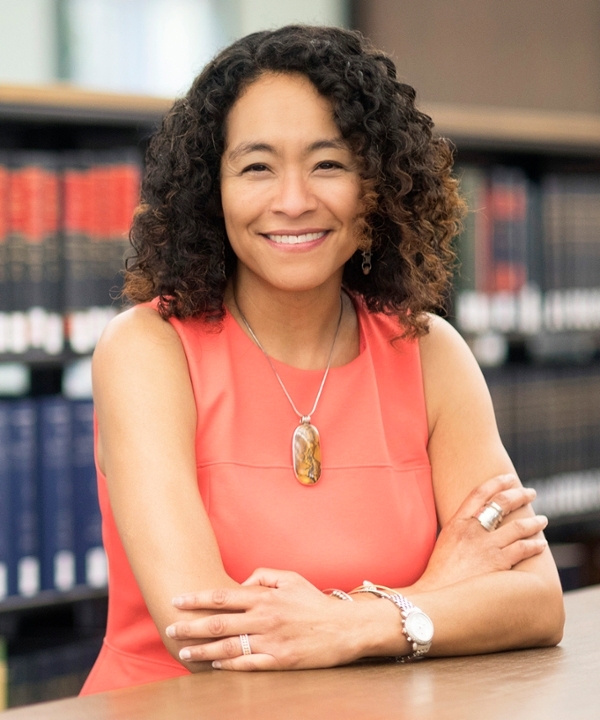 L. Song Richardson is the Dean and Chancellor’s Professor of Law at the University of California, Irvine School of Law with joint appointments in the Department of Criminology, Law and Society and in the Department of Asian American Studies. She received her AB from Harvard College and her JD from Yale Law School. Her interdisciplinary research uses lessons from cognitive and social psychology to study decision-making and judgment in a variety of contexts. Her scholarship has been published by law journals at Harvard, Yale, Cornell, Duke and Northwestern, among others. Currently, she is working on a book that examines the legal and moral implications of mind sciences research on policing and criminal procedure. She is a member of the American Law Institute, the country’s leading independent organization made up of elected judges, academics, and practitioners, which publishes works to clarify and improve the law. Her legal career has included partnership at a boutique criminal law firm and work as a state and federal public defender in Seattle, Washington. She was also an Assistant Counsel at the NAACP Legal Defense and Educational Fund, Inc. Immediately upon graduation from law school, Dean Richardson was a Skadden Arps Public Interest Fellow with the National Immigration Law Center in Los Angeles and the Legal Aid Society’s Immigration Unit in Brooklyn, NY. A leading expert on implicit racial and gender bias, Richardson is frequently invited to speak to law firms, district attorney and public defender offices, police departments, universities, judges, bar associations, and private industry across the nation about the science of implicit bias and its influence on decisions, perceptions, and judgments. She also presents her work at academic symposia and non-academic legal conferences. She has won numerous awards and recognitions, including the American Association of Law School’s Derrick Bell Award, which recognizes a faculty member’s extraordinary contributions to legal education through mentoring, teaching, and scholarship; nominated for OC Business Journal’s Woman of the Year; named one of the Top Women Lawyers in California by The Daily Journal; and featured in OC Weekly’s People Issue. Finally, Dean Richardson is also a classically trained pianist who performed twice with the Boston Symphony Orchestra and won numerous major piano competitions.